Dan joined Lincoln Property Company in 2015. As a Project Manager with the Development and Construction Group he is responsible for construction projects at 10 properties in Boston and Cambridge. Typical projects include tenant improvements, lab build-outs, and capital improvements. Dan started his career as a residential carpenter. In 2005 he joined Gilbane Building Company, spending most of his time there as a Project Manager overseeing tenant improvement and capital expenditure projects. In 2010 Dan accepted a position with U.S. Customs and Border Protection where he was responsible for the implementation of space planning, development, and administration for CBP’s Boston Field Office which covers 56 ports of entry throughout New England. Since 2004 Dan has been a member of the U.S. Navy Reserve. As a Builder with the Seabees he completed two active duty deployments in support of Operation Iraqi Freedom and Operation New Dawn. He is currently attached to Coastal Riverine Squadron 8 based in Newport, RI. 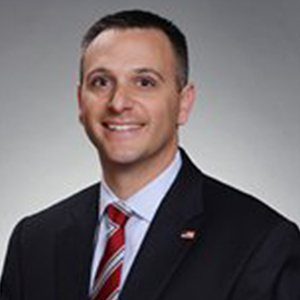 Dan holds a degree in Business Management from Quinnipiac University, and currently resides in Milton with his wife and two daughters.